About three years ago I've stumbled upon Fred79's object patch and was delighted by its possibilities of landscape enhancing. Since then I've been occasionally making simple maps (especially during hard moments in my life, thanks to the de-stressing abilities of map editor ), mostly for my closest people's amusement, to play in hot seats mode. Truth is I am really mediocre player, so I am afraid my maps are mediocre as well, and for sure not challenging at all for advanced players. If anyone is interested, and have any idea how to make gameplay more interesting, any feedback would be much appreciated. I will post more of my work in this thread if anyone will be interested, maybe my older maps after proper polishing. I have few projects already started, but got into this point where I am right now, wondering whether there is anything interesting beside nice pictures. All of the maps are in beta. All of the maps are requiring WOG + ERA and latest Fred 79's object patch, wnich obviously can be downloaded from this thread. 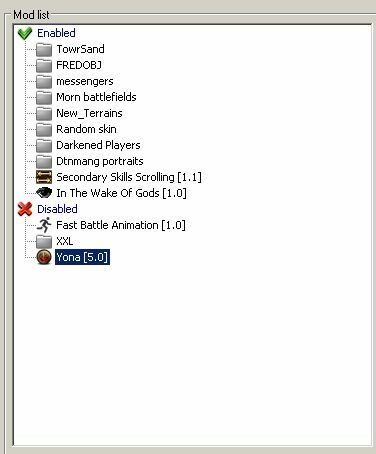 All of my maps are using a single wog settings file, included in the dropbox folder. Make sure you load it before you start your game. 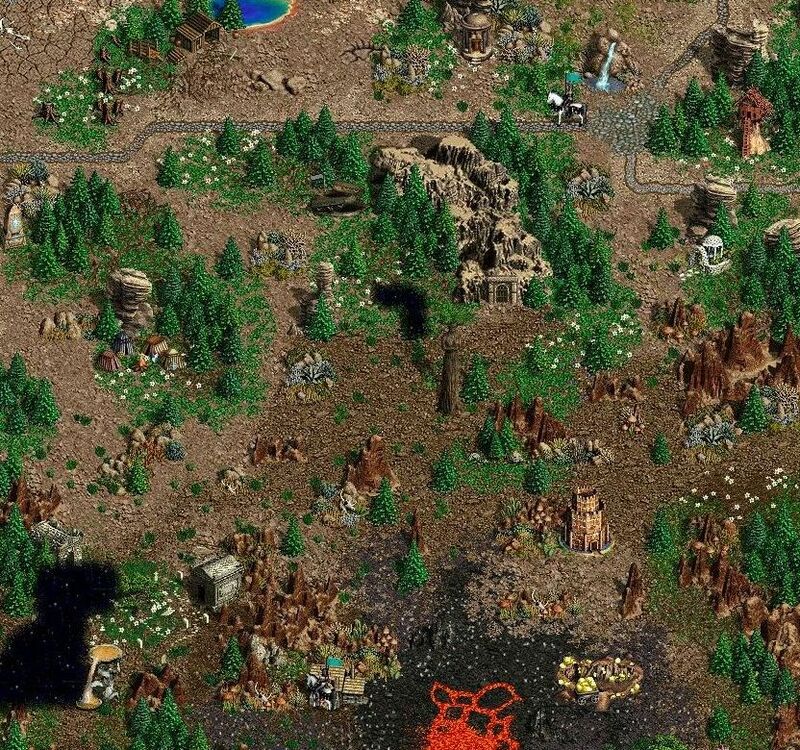 It's sp map, set in the times of Timber Wars. Generic ROE plot, propably will end as first scenario of a tiny campaign. Map dedicated for coop (customizable alliances are enabled in wog options) with your loved ones during long winter evenings. Nothing fancy. Roughly translated to english, both languages in timed events. I find working on maps to be quite soothing, as well. And, I am also a mediocre player. Edited by Triadasoul at 11:49, 27 Jan 2019. Thank you so much for you gorgeous maps. And big thanks to Fred who made all these items and made such a maps possible. It's almost that Christmas present the HoTA team made us to be used to. It feels like a knew game, also the usage of new items is stylish and balanced. I think for all of the people who keeps an eye on Freds work these maps are of much interest. Maybe it's better to add links in the Freds thread for those who are lazy %). As mediocre player myself the Black forest map was pretty challenging for me. Teal player got somewhere two stacks of 8th levels (Diamond Dragon and somebody else I don't remember). So may be Teal player in some part could be imbalance (may be there are occasionally friendly stacks of those). And also on some part of the bloody fighting with Teal player - red one rushed out from it's realm with pretty big army and stats like 30. But he was pretty causious so I could get time to gather forces and outmaneuver him. Also when I cleared all the dungeon (all for courners and red player) I coudn't find the way to the surface. Could you give me some guidelines how to get there after defeating red player? thanks for the interest! Appreciate that. Look for the dark red glow floating above the ground, next to the waterfall in orange's realm. I think many of us here will wait for more great maps of yours! Sadly I won't play the maps due to no time, but I must say they're looking astonishing beautiful. 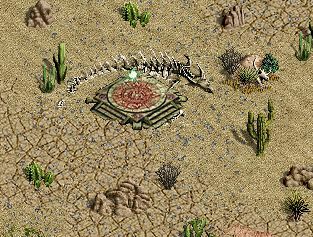 Wish there was more of a bigger adventure and plot built into them, so that it could be close to an ideal map. It's always the mapmaker style to consider the idea behind the map tho. 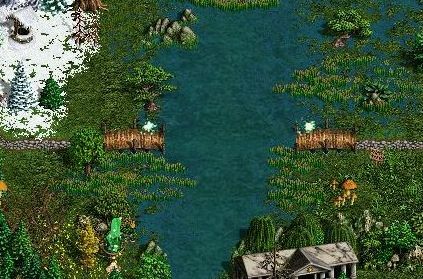 As a mapmaker myself I'd always go for making a story map, beacuse those require a bigger effort, but I see You've already been making the upper ones in a 3 years time and found a way to overpass this effort required to make a regular HoMM3 map really good by using Fred's patch on your map, that made simplistic maps(In your way of understanding it) of yours look like a deep professional handycraft. Wish I would play them before comment, but I doubt I'll have time in the nearest few months to do that, as I'm busy irl + making a map myself. 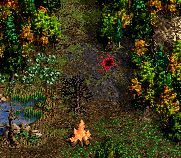 Btw I was also considering using Fred patch on my map, but it was your maps that encouraged me to give it a try in the end on my own map. It has a bigger problem involved around that tho, as I'm making a map for HotA. It didn't stopped me from taking some cool looking objects from his patch, and throw them in between the files of HotA. Can't do that with all of them tho, beacuse I dislike giving "alot of required to download bonus content for the map". I'll definately give WoG a chance in future and use all of them too anyway. 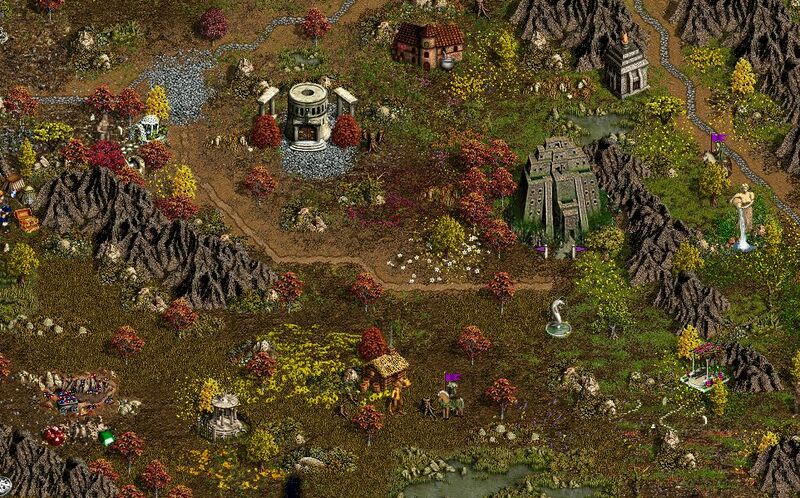 I believe you should post the maps also on polish HoMM3 sites: Akademia Wojny or Jaskinia Behemota. 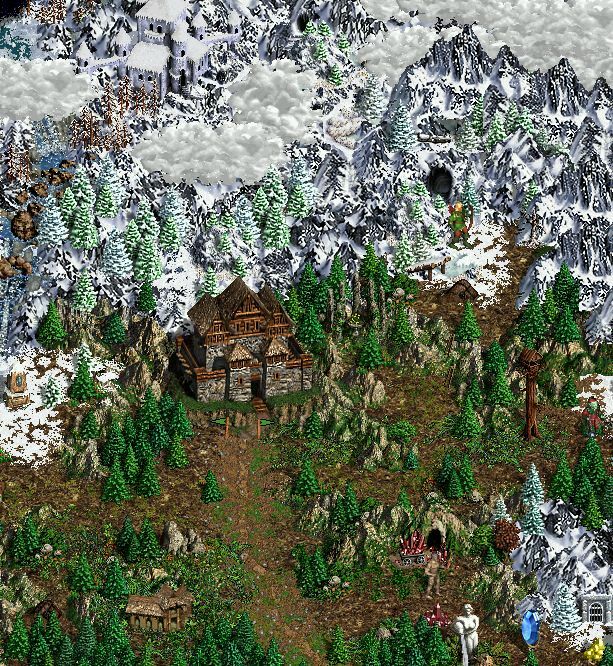 Maybe it could help raise the quality and imput of work for regular maps of other users, whom are beginners in the world of HoMM3 mapmaking. PS: About making better maps, and get hinted(as You asked for) I believe would be easiest and best if You had friend/friends with whom You could talk about your own ideas, and analize their thoughts regards them. I believe it's way easier than leave tips for already completed maps, cuz these could rework them totally into something else, and that's not the point about making maps. Shortly saying: Easier to draw on a white page, than redraw differently an existing painting.